Large parking lot across the street from the restaurant and 1/2 block west from restaurant on Walnut Street. Bus stop at the corner of our block. Sunday breakfast is accompanied with live piano. A room off the back of the dining area offers privacy for meetings/ special events. The room seats 20-34 people, has a fireplace, av equipment, and customized menus for your group. two eggs over easy and black beans layered with corn tortillas and hash-browns smothered in salsa verde and topped with sour cream. The atmosphere and service are great but the food is a little disappointing for the price. The food quality is there but the value isn't. I’m in love with this place. It’s me and my friends new spot off West 7th. I wish more people knew about it but! Menu is awesome. Service is amazing (literally so attentive even when clearly busy) knowledgable. Everyone is so genuinely friendly it’s adorable. Love love love. Great food! Fast and delicious as well. Nice ambiance, quiet. Not a trendy spot for young people but perfect for families! Every time I visit the Downtowner I leave very satisfied. Excellent service, food and location. Thank you. Great food & service as always! It’s our Friday night hangout spot ... the halibut is wonderful! Dan is the best host and all of the servers are amazing! I have eaten at Downtowner many times over the years and I have never had an unpleasant experience. The service is wonderful as is the atmosphere. The menu is varied and the prices are reasonable. It's one of my favorite Twin Cities restaurants. Lovely restaurant with very friendly staff. We were in Minneapolis/St. Paul for the Men's Final Four Basketball tournament. After touring the beautiful St. Paul Cathedral, we enjoyed delicious lunch of wood-fired grilled kebobs...both the beef and the pork were perfect. With delicious basmati rice and vegetable kabos, our meal was very enjoyable. Returned to the hotel for a pre-game nap and went on to the arena to see our team capture the championship title. Thanks, Downtowner Woodfire Grill, for contributing to a perfect visit to the Twin Cities! Great location and FREE parking in downtown StPaul!! Service is excellent and food was delicious. We are going back again soon!! Overall a good brunch spot, only critique is we waited a while for service at first. When we did get to put our order in it came fast, fresh and tasted amazing. Food was great. The service level of the server was just not what we’ve experienced in past visits at the Downtowner. Went for a Saturday afternoon lunch, were seated right away. Quick service, food was wonderful. We decided to have breakfast at the Downtowner to celebrate a family birthday. It was fantastic. Our server was so friendly and patient with our large group. The food was delicious. We will definitely be back. Awesome dinner - great food and value! Highly recommended! First time at Downtowner Woodfire Grill for my husband and I. Our meal was great, service very attentive and we also appreciated the parking. We will definitely be back next time we are in St. Paul. Comfortable environment, great staff, amazing food! I was impressed with the patience and pleasantness of the waiter during the very long time my friend and I spent talking, eating and drinking wine. My friend wasnt. She felt his wishes that we hurry it up. Too bad because we weren't holding a table needed by others. There were empty tables.He probably should have turned the table over to someone else so he could go home. Everything was wonderful as usual, but the popover put this experience at 12 stars!! 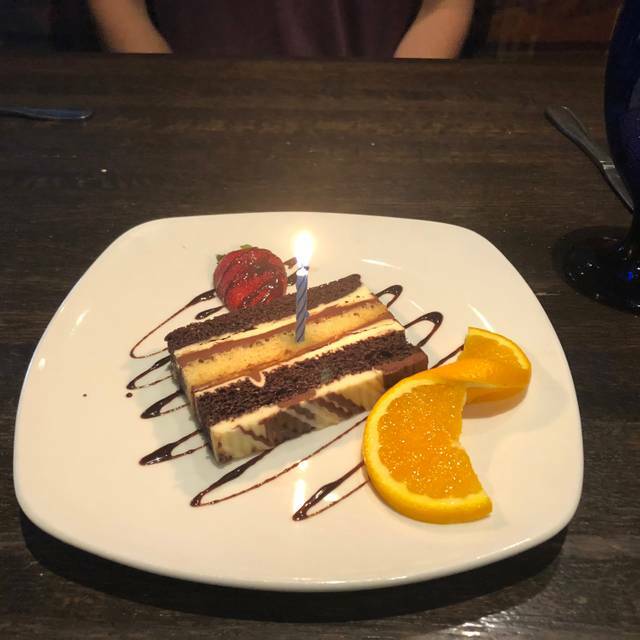 The staff was extremely courteous & helpful in giving us a table in a quieter setting and when they found out we were celebrating a special birthday they went over the top to make sure we had a pleasant experience! Love the atmosphere - so cozy & inviting - recommend it highly! Server and service was excellent. First time we had breakfast here, choices were outstanding, something for everyone. Sage our server was very personable and related to our group in many different ways, her birthday was on the same date as the birthday we were celebrating and she owned a cat which related to another guest. Overall would return for breakfast and dinner again. Trisha did her usual outstanding job. Disappointed in our dinner here. Very very smoky interior (and yes, I know it's a woodfire grill). Overpowering smoky smell. Food was marginal. Great spot for a good dinner before heading to the Xcel Energy Center. Wonderful spot to eat before a concert at the xcel. We love this restaurant for its casual elegance and woodsy grill smells! A great spot for conversations too. We’ve always enjoyed the food - the 4 of us had completely different meals and were happy. I love the ambiance. Feels like being in a ski lodge. Service was good. Food was fine, but our dishes didn’t come out as advertised. The smoked scallop ceviche had bits of shrimp but no discernible scallops and there was not anything smoky about it. The filet said it came with smoked wild mushroom butter. It did come with butter on top, but I wouldn’t have been able to tell you there was anything mushroom or smoked about it. 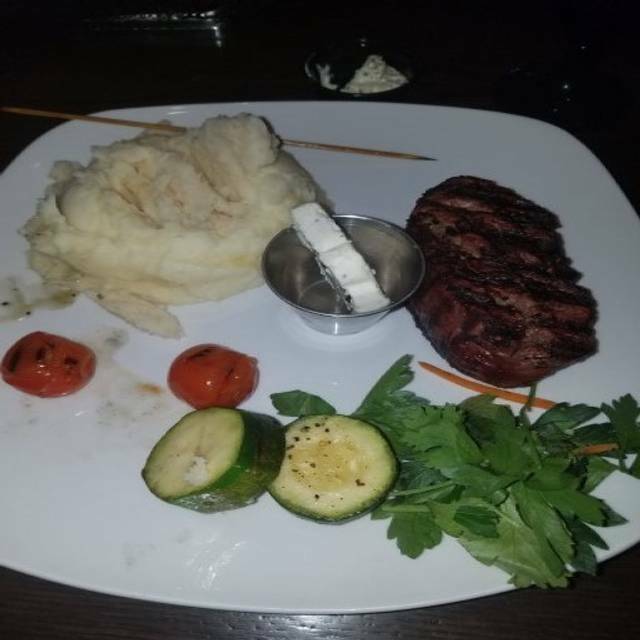 I had horseradish mashed potatoes and my son had garlic mashed potatoes, but they tasted the same and not much flavor of either. I would encourage them to actually have some bold flavor if they are going to put it on their menu. Disappointing misses given the price. Great burger. My wife had lamb that was very good. We love Woodfire but this evening the food was just ok. The woodfired chicken was dry and the steak salad had a substandard cut of steak. Not the usual great food we have come to expect. My Sirloin Steak was really tough; it needed tenderizing before being cooked. The vegetables that came with it were underwhelming (served on a stick); I was expecting more vegetables. My wife enjoyed her chicken and she commented on the very small portion of vegetables as well. The complimentary dessert to celebrate our anniversary was a nice touch. Thankfully it quieted down at 7:30 pm. The food was very good, the service not so much. We would go there again. We were there to celebrate my boyfriends surprise birthday party. The manager knew it was a surprise and he helped get the friends seated prior to our arrival, and then brought us back when we arrived. My BF was so insanely surprised. The service was fantastic. Food was amazing. We will definitely return. We have been to The Downtowner many times and always loved it. This visit was just okay-mostly because of our server. We aren't sure if he was the bartender and just helping out with tables or what. He never asked us if we wanted another drink or refilled our water. He was just absent most of the time. It was disappointing. 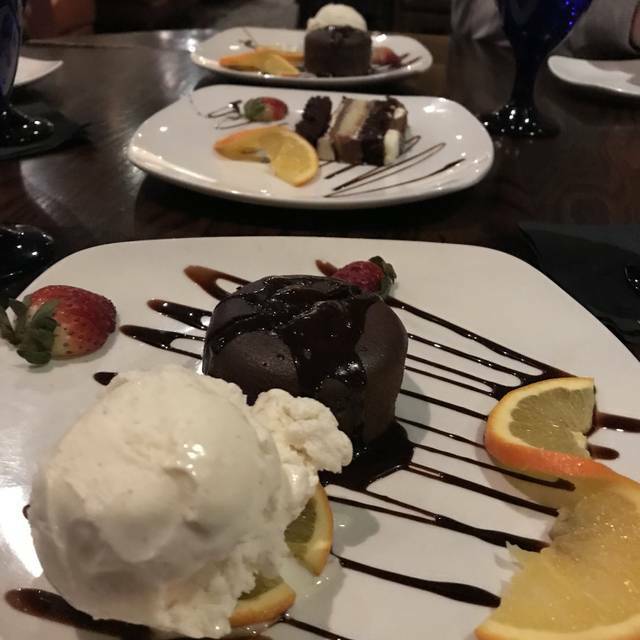 Our server was so knowledgeable about the food and taste, the ambiance was soothing and relaxing, and the food was great! One of our favorite spots to go for a weekend brunch. Ambiance is amazing, food is always at the very least good (a lot of the time it’s way better than good) and selection is really good too. Our server and our food were great. The host was a bit rude and implied that accommodating our party of 8 was an inconvenience despite us having a reservation. Good location for a little upscale dining by Xcel Energy Center. Pizzas were very good, could use a couple more beer choices, but overall a good experience.